Leon Bridges | What's Peeps Thinking About Now? It's Probably Random! 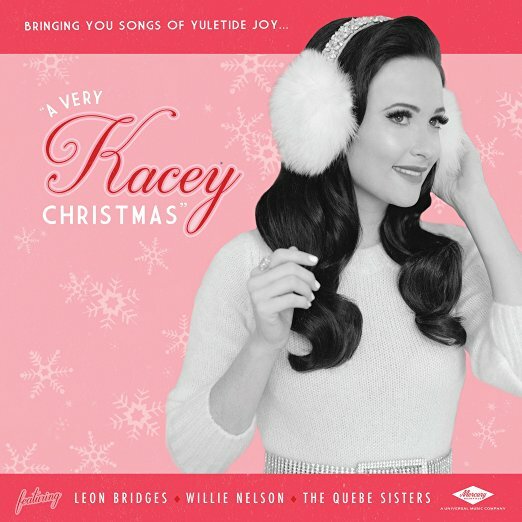 Grammy Awards, ACM Awards, and CMA Awards winner Kacey Musgraves also just delivered her first Christmas collection, “A Very Kacey Christmas”. Although she’s a country music singer, like Brett Eldredge, you only have to start this album to know she’s true to the genre. It’s real country with real Texas twang and I mean that in the very best way. This album features many popular Christmas classics such as “Rudolph The Red-Nosed Reindeer”, “Let It Snow”, and “What Are You Doing New Year’s Eve”. But, Musgraves expands the cultural horizons with “Feliz Navidad” and “Mele Kalikimaka”. She’s not afraid to show what an amazing songwriter she is on the album with four original songs (out of the twelve featured). My favorite original on the album is “Ribbons and Bows”, followed closely by “Present Without A Bow” with Leon Bridges, and “A Willie Nice Christmas”, which features country music outlaw and legend, Willie Nelson. While you do hear songs about having too much to drink at Christmas (that spiked egg nog will get you every time), it’s very rare for an artist to sing about staying “higher than the angel on top of the tree”! If you know anything about Musgraves, you know she boldly sings songs that she wants to and she doesn’t stick to the tired and safe guidelines of country music. Her first country radio hit, the Top Ten smash “Merry Go ‘Round” featured her brother “hooked on Mary Jane”. The point I’m getting at here is she takes chances. The biggest on this Christmas album is with the remake of The Chipmunks’ “Christmas Don’t Be Late”. Yes, that one! However, with Musgraves in control and without Alvin, Simon, and Theodore terrorizing Dave, it’s a bona fide true country Christmas song. The only misfire on the album and this is strictly a personal thing for me is including “I Want A Hippopotamus For Christmas”. It’s one of my least favorite holiday songs. However, I’ll add that Musgraves’ performance is incredible, as it always is. I just don’t like the song. “A Very Kacey Christmas” is definitely a great addition to your growing list of Christmas albums. On Wednesday, my “Random Friday Thoughts” went through a major re-write. So, here’s the updated version. Thank you for checking out my thoughts. If you disagree, do it diplomatically! 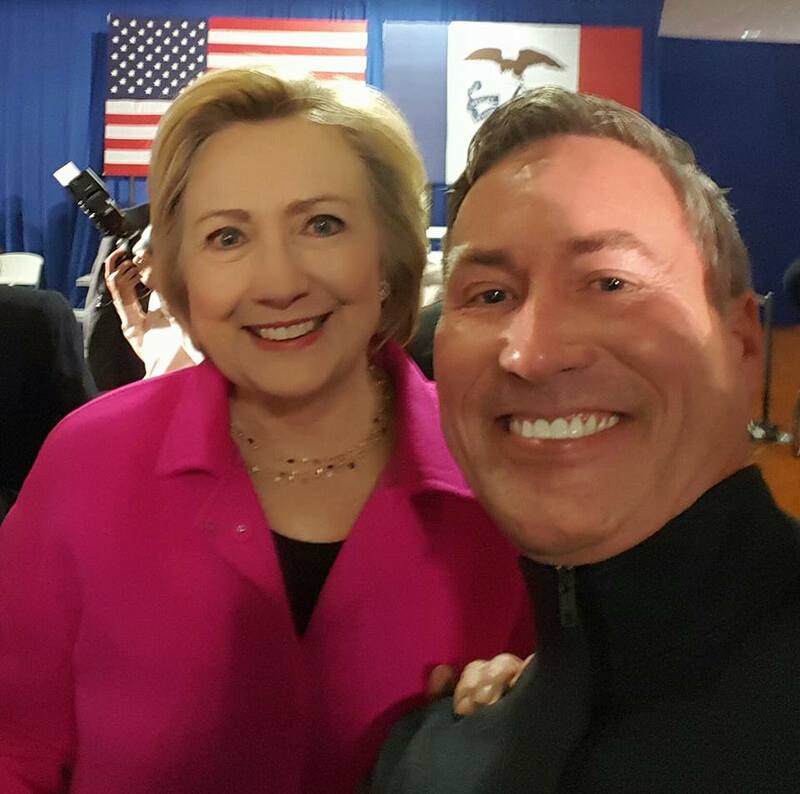 Senator Hillary Clinton, I want to take a moment to thank you from the bottom of my heart for giving me hope that all I’ve worked for in life would continue on through your presidency. Thank you for being a forward-thinking First Lady. My one vote made a difference in 1992 and, again, in 1996. Thank you for all of the years fighting for those that needed a voice, a strong person and not just a strong woman. You were there for children, mothers, the LGBTQ community, people of color, minorities, the environment, but most of all, the world. I’ll never forget that cold, January day in Davenport, Iowa, when I had a chance to tell you “good luck” and you placed your hand on my shoulder. I hope that we meet again. You’ve been an inspiration to me for 20-plus years and for that, I’m grateful and honored to have fought the fight with you. We may have lost this battle, but I’m still with you. I think about my mother for one reason or another every day. My mother, Dessie, died 26 years ago this week. At times, it seems just like yesterday and at other times, it seems so long ago, which it was. Mom, Tammy and I miss you greatly. But, we both know that you are with us every step of the way in life. Many of you checked out the blog I wrote about my mother last year on the 25th anniversary of her death. If you didn’t, here it is again. As I’ve stated before, I get much of my real reading done on the treadmill after work. Since I knew the anniversary of my mother’s death was coming up, I wanted to read about another incredible woman — Lillian Carter, the mother of my favorite President Jimmy Carter. “A Remarkable Mother” is from 2008 and was published twenty-five years after Miss Lillian’s death at the age of 85. I’ve read many funny stories about Miss Lillian. She definitely said what she wanted and she didn’t care what her son’s presidential handlers thought. She was a strong advocate for racial equality back in southwestern Georgia during the turbulent period all the way through the 1960s, when President Lyndon Johnson was running for re-election. If you didn’t know, she even joined the Peace Corps and traveled to India when she was almost 70-years-old. There are many fun quotes and stories I remember reading over the years and President Carter shares many of them in the book. I sure hope that my mother and Miss Lillian are friends in heaven. They are just two of the remarkable mothers we’ve lost! Singer Michael Buble and his wife, Luisana Lopilato, are putting their careers on hold following the devastating news that their 3-year-old son, Noah, has been diagnosed with cancer. He’s being treated here in the United States. A couple of weeks ago, I previewed Michael’s new album, “Nobody But Me”, which is incredible. For Michael and his family, I’m featuring “God Only Knows” this week. I’ll be saying an extra prayer for Noah, Michael, and his family ! Also, it’s that time of the year that his 2011 album,”Christmas”, goes into heavy rotation and it’s sensational. I’m moving on from this week’s presidential election after these three parting thoughts. I expected the race to be close and it was. As of this writing, Hillary Clinton (60.3 million) got more votes than Donald Trump (60 million). It’s incredible that with more than 126 million votes cast, there was only a difference of about 338-thousand votes. There are two camps I blame for Clinton’s loss. One is the 38% of Americans that didn’t vote. However, the people who I mostly blame for Trump winning the presidency are not just the people that voted for him. While that’s vital, it’s the people that didn’t like either Clinton or Trump, the “protest voters”. 4.1 million people voted for Gary Johnson and 1.2 million for Jill Stein. In toss-up states like Michigan, Pennsylvania, and Florida, the margin of win was small enough that the “protest votes” for Johnson and Stein were enough to turn blue-leaning states red. I’m all for having three or more viable parties that have a chance to win a presidency. However, I tried and tried to tell people who didn’t like either front-runner that a vote for Johnson or Stein was a vote for Donald Trump. Well, since we live in an “electoral college” voting world, thank you very much. Your protests were successful in electing Donald Trump as the 45th president of the United States. I hope you can live with it. I’ll have to. I’m going to highlight this, so there’s no confusion — I don’t believe that every person that voted for Trump is a racist, but there are those that are and you know who you are. 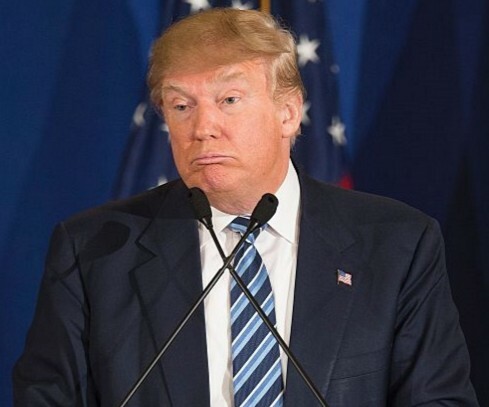 With that being said, if you deny that Trump didn’t do enough to distance himself from the love and flattery he was getting from David Duke AND if you don’t think that Trump also repeatedly made very racist remarks in his campaign, then you’re clearly (God, how do I say this with people being so sensitive) ignorant, misinformed, in denial, oblivious, or you just don’t care? That kind of hate used to live in the darkness of night and hide under sheets. That isn’t just a part of our sad history in the United States, it’s still very alive today. The only difference now is that it doesn’t have to hide. If you believe in a higher spirit, say with me, “may God be with us”! Okay, that’s not shocking at all. But, for once, I’m not talking entirely about her no-holds-barred Twitter feed. It’s about that and her own mortality. In honor of her upcoming 71st birthday (December 1st) and the holiday season, here’s Bette with “Cool Yule”, the title track of her 2006 Christmas album. Bette, thank you for being the voice of reason in such a crazy world! The most popular movie with the title, “Christine”, is based on Stephen King’s novel about a possessed vintage car. But, now there’s another movie with that title that I can’t wait to check out. It’s a true life story about a Florida news anchor in the 1970s that changed television news forever and shocked and scarred viewers. It stars one of my favorite actors, Michael C. Hall (“Dexter” and “Six Feet Under”) and Rebecca Hall (no relation). Last weekend, I finally got to see the Pet Shop Boys in concert on their “The Super Tour” in Chicago. Here they are performing their Top Ten hit, “Always on My Mind”. If that whetted your appetite to go back in time, here are my 20 favorite Pet Shop Boys songs. And, since they only had six Top 40 hits in America, I bet you’ll find some fun ones you haven’t heard. Just click below. I GUESS I HAVE O.C.D. With that being said, I’ve been listening to Christmas music for a couple of weeks now and here in the Quad Cities, Mix 96 has switched over to continuous holiday music! It’s early fall, but there are already several new Christmas albums on the market to fill your holidays. The a cappella group Pentatonix just released their third Christmas set in less than four years (!). Country acts Chris Young, Jennifer Nettles, Garth Brooks and Trisha Yearwood, and Rascal Flatts are offering holiday cheer this year. 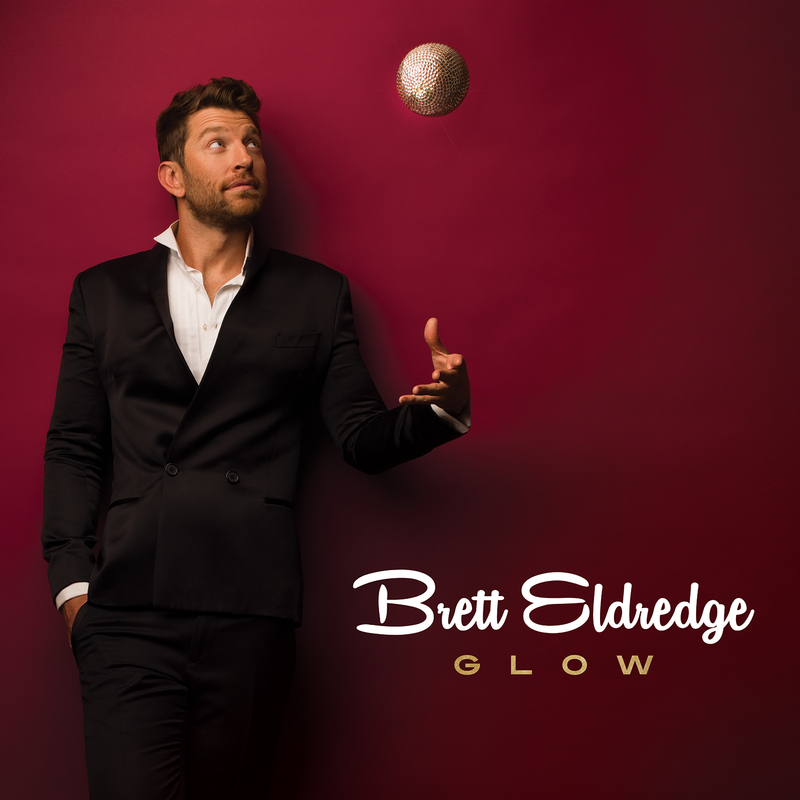 “Glow” is the first Christmas album from Illinois native and relative country newcomer Brett Eldredge. 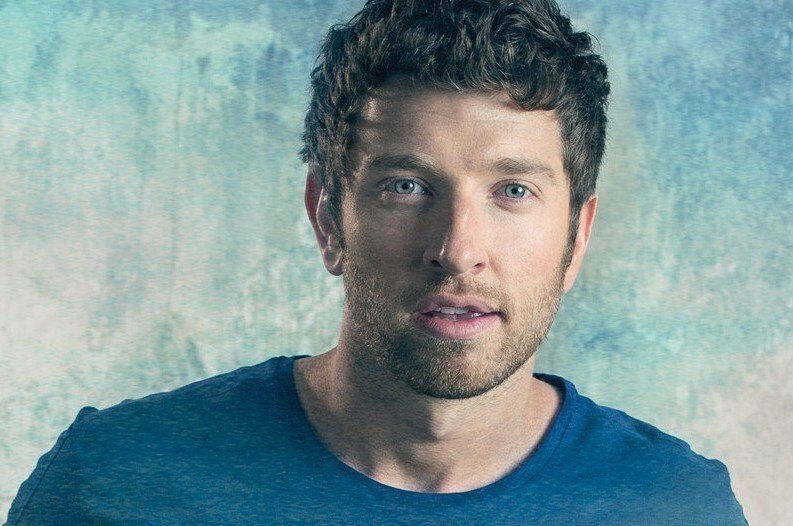 He’s already released two hit country albums and, since 2012, has scored five Top Ten hits on the Billboard Country chart. His latest, “Wanna Be That Song” is at #12 and will likely be his sixth Top Ten. But, we’re talking Christmas and “Glow” here. The standard edition features eleven songs and the Target exclusive gives you three more. The only original song on the album is the title track. I’ll be forthright in saying that I love the classics and I have to warm to new originals and I did with “Glow”. Brett is not only an attractive young man, he also has a very strong voice. If you only buy the standard edition, you’ll likely listen to the eleven songs (“I’ll Be Home For Christmas”, “White Christmas”, “Winter Wonderland”, and many more) and think, “it doesn’t sound very country”. It doesn’t. The music is very much jazzed up. It’s like he’s channeling Michael Buble and that’s a good thing. But, comparing Eldredge’s voice to Buble’s is like comparing Mick Jagger’s voice to Paul McCartney’s. Both strong, but very different in delivery. Now, if you buy the Target exclusive, the three additional songs are the only ones on the album that lets you know that Eldredge in a country music star. It’s like you changed discs in the player from a jazz artist to a country one. “Glow” is an exceptional Christmas album and it solidifies the fact that pop star Meghan Trainor should be on every duet! On this album, she sings “Baby It’s Cold Outside” with Eldredge and just last month, she appeared with Michael Buble on “Someday” from his “Nobody But Me” album.